A lot of men these days didn’t have the luxury of having a male figure in their lives to help guide them along the way on key skills of being a better man. Nothing can really replace the fact of having someone like this when growing up to show you the ropes but luckily with the times we live in we have resources to look to with books and websites to help us out. Over the years I’ve come across some great authors who really show their passion in their writing about wanting to help their fellow man out, while others seem to just write about whatever in hopes to sell a book or two. This is why I decided to put together this article to help shine a light on which books I think really can help those who read it to become better men in some way, shape or form. 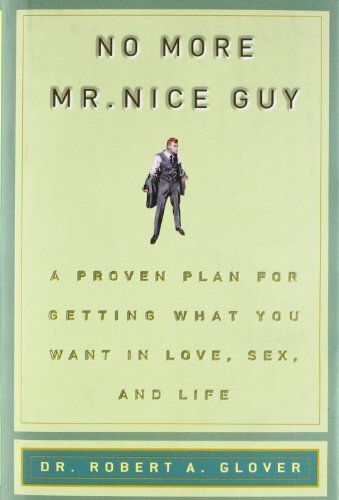 No More Mr Nice Guy By Robert A. Glover has become more important than ever in my opinion especially in western civilizations. There seems to be a constant portrayal in movies and TV shows that show women just going head over heels for guys who are so sweet to them. Now while this may be true to some extent a lot of men have taken this way too far and have basically become doormats for not only women but to almost everyone they come across. This book focuses on how not to become or stop being that doormat by giving some little stories and suggestions what to do in certain situations. This is a great read which I think every man should have and should past down to their sons. 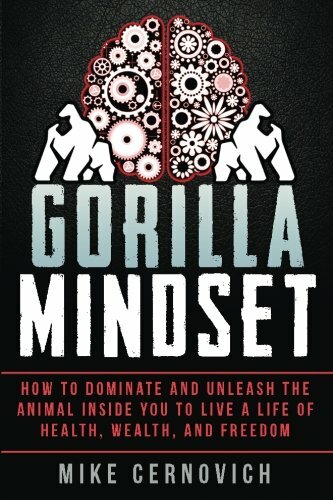 Gorilla Mindset By Mike Cernovich is much newer book to be released (2015). In this book Mike focuses on doing what you want to do in a sense by setting goals, keep moving forward and a strong urge on the fact that you control your destiny or at least this is what I took away from reading it. Overall reading this will really help you with not dwelling or getting to worked up about the little stuff that you have no control over really but to focus on staying positive by doing something about the things you do have control over. Mike has launched a few books but I haven’t had the chance to check out his others at the time of me writing this. I highly recommend this book and truly think that it will help those of you who find that have a difficult time staying positive in life. The 4-Hour Workweek By Timothy Ferriss is by far the most popular book on this list in terms of how many people have heard about it. If the book doesn’t ring a bell then the name Tim Ferris might, he has grown his brand and with that his name has become one of the top rising entrepreneurs. 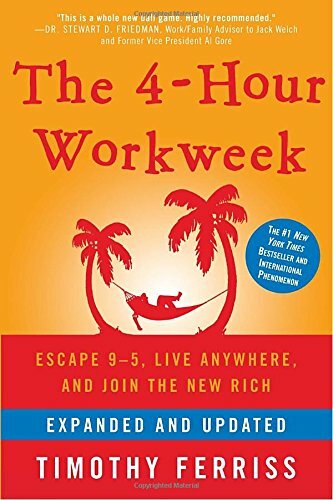 In this book Tim focuses on how not to get locked down by the notion that working 8-5 40+ hours a week is something that you just have to do for any chance of having the type of life you want. Having enough money to support your family usually comes with committing all of your time to work away from them. With The 4-Hour Workweek he really aims to try to drive home that this isn’t the only option in life to making money, don’t be stuck in this tunnel vision that there isn’t else besides clocking in and out to be able to support yourself. This is the impression anyways that I got while reading his book so hopefully I took it the way he intended his words to be taken but either way it left a positive impression on me none the less. If you’re trying to better yourself mentally & hopefully physically to a better work environment, then hopefully this book will help you as much as it did me. 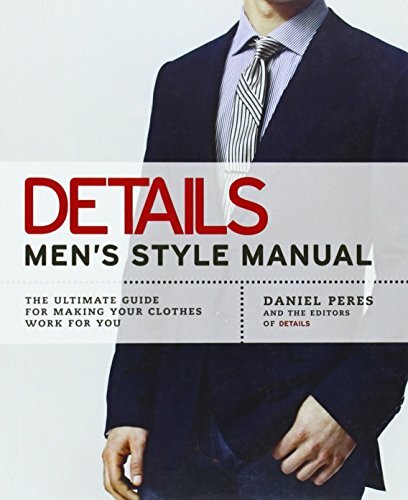 Details Men’s Style Manual By Daniel Peres is a book about (you guessed it) helping you have a better overall look to yourself through dressing better. Most men might reject being given advice on how to dress or what looks better unless that advice comes from their girlfriend/wife or maybe even their mother. I’ll admit I was right there in that sort of thinking with my stubborn mindset being I know what looks good or it doesn’t matter if I don’t match, I make whatever I wear look good no matter what! Finally, I gave in and decided to look around for tips on dressing better and it led me to finding this book. If style is something you’re struggling with then I truly think this book will help you with understanding what to wear, not wear, what not to mix and overall things related to men’s style. I was going to try to keep this article strictly about books but I couldn’t recommend one over Greg Plitts website. 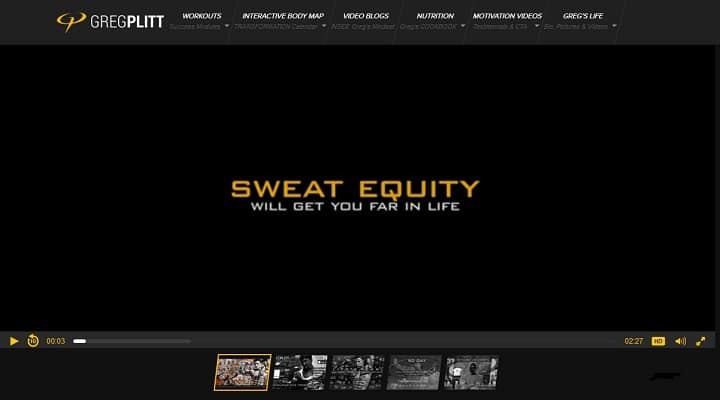 Gregplitt.com has tons of videos, how to, what’s this thing do and overall fitness motivation videos that will do leaps and bounds more for you than any book I can think of. I found his site after lifting for about 2 years and I thought I knew a lot about fitness/nutrition but I quickly realized that I had only scratched the surface. His videos take you inside the gym with him and he literally explains what he is doing, why he is doing it that way and what muscle it is working. On top of that the shear amount of motivation to want to go hit the gym after watching his videos is unreal, I basically started watching his videos instead of having to take a pre-workout because that’s how roaring to go his videos made me. Check out his site and look at the testimonials if you’re on the fence about it or watch some preview videos from his YouTube channel. There are so many more books and guides that I wanted to put on here but I literally had to restrain myself from doing it because I didn’t want this to be an endless list of too many options. I decided just to stick with the main core few that I truly believe that will be able to help you. My plan is to add a more specific related article for certain style of books instead of an overall better yourself article such as this. By that I mean I will make an article specifically about mens style guides and another article only talking about mens fitness guide books. As I said this article is a more rounded one which tries to cover as many aspects as possible about better yourself as a man. I truly hope at least one item on this list help you in some way, thanks for reading. Update: Here is a list of blogs to read as well.